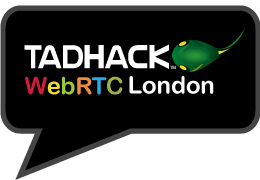 The format for our second London mini-hackathon will be the same as last year, with a focus on WebRTC. Developers get access to the WebRTC Global Summit, and the TADHack-mini London winners and runners up pitch at the WebRTC Global Summit for even greater exposure. You can read more about this event on our blog starting with our summary of last year’s TADHack-mini London. Thank you – to everyone who attended TADHack mini London 2016 at IDEA London. This year’s event was bigger, with 88 people through the door, 18 hacks, and lots more diversity among the attendees. A special thank you to our sponsors, Apidaze, Cisco Spark, Dialogic, Matrix, Telestax, and Tropo for making this event possible! We had a great variety of winning hacks – audio call distillation using AI, an anti-cyberbullying bot, a programmable chatbot, remote mental health counseling, multi-lingual chat, neat call filtering and management using Slack, and voice-controlled apps by our youngest hacker Dalton Scott – to name just a few! Many more hacks are winning that required little coding. This is an important trend: more telecom tools and platforms are available so that non-coders can use telecom capabilities to easily create new apps. services, and business processes. WebRTC Server Example: A sample web application that uses APIdaze audio/video conference bridge accessible from the web using WebRTC and the PSTN (using a simple HTTP/REST with cURL). WebRTC Audio Stats Sample App: A sample web application that shows how to gather RTCP statistics from APIdaze WebRTC audio bridge, very useful to monitor the quality of the underlying network connection. WebRTC Call Monitor App: Monitor incoming calls placed to a DID from a web application without using SIP nor XMPP. Here, the Google Channel API is used as the signaling channel, and the presented incoming call can be answered directly from the browser using WebRTC. Matrix (matrix.org) is an open source distributed persistent messaging fabric with eventual consistency, open federation and strong cryptographic guarantees – used for securely exchanging messages and synchronising communication history between humans, devices and services with no single points of control or data ownership. It consists of an open standard defining RESTful HTTP APIs and open source, Apache-licensed reference server and client implementations for exchanging and persisting arbitrary JSON data. It can be to exchange group chat, voice or video calls, IoT data, or any information you could wish to publish/subscribe via an internet-wide open persistent messaging network. Many open source clients, including Vector and Matrix Console Web, already support WebRTC – so an idea for a hack would be to use or take inspiration from these in your application. You can find more information about Matrix clients here. Also feel free to ask questions and chat to the matrix team in the official Matrix HQ chatroom! 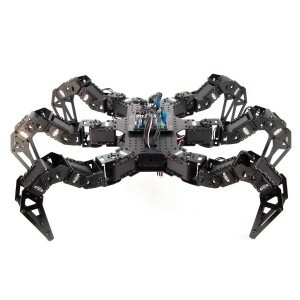 We will award a Trossen PhantomX Hexapod to the best hack using Matrix – we are eager to see your ideas and implementations. Telestax and Dialogic are teaming-up at TADHack-mini to offer Restcomm powered by PowerMedia XMS, a unified Cloud Communications platform with advanced media capabilities to rapidly build scalable VOICE, VIDEO, and MESSAGING Applications, using your existing Web and Mobile Development Skills. Get started with RestComm powered by PowerMedia XMS now! Cloud API for Voice and SMS. Tropo makes it simple to build phone and SMS applications. You use the web technologies you already know and Tropo’s powerful cloud API to bring real-time communications to your apps. Tropo Sandbox: Sign up and get access to the free Tropo sandbox to play with the Tropo API. Tropo Support: There are several methods to get help on Tropo, whether you need best practice suggestions, answers to general how to questions/code problems or help brainstorming a solution to a unique problem you’re trying to solve.